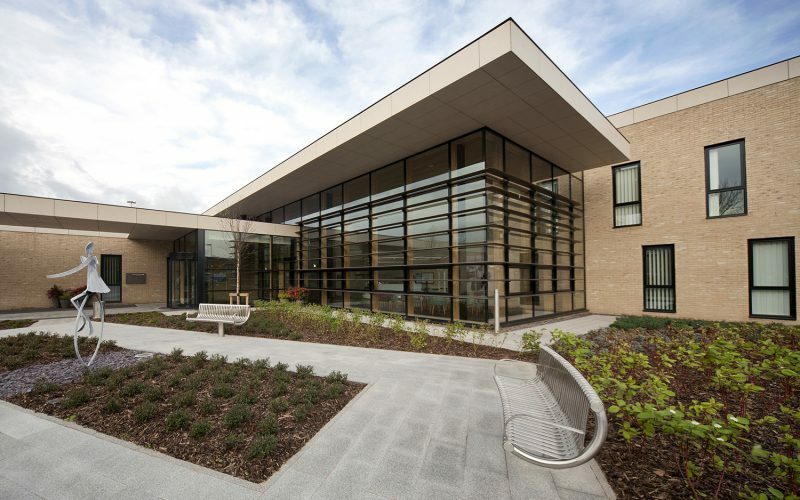 2009 saw the on-site start of a £19.9m ProCure21 scheme to redevelop the cancer services at the James Cook University Hospital in Middlesbrough, part of the South Tees Hospitals NHS Foundation Trust. 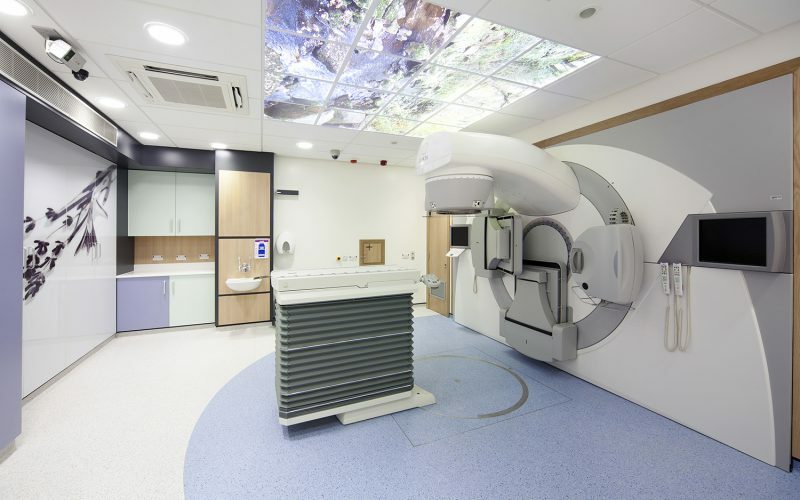 Included in the scheme was a new radiotherapy satellite centre, known as the Endeavour Unit, housing three linear accelerators (linacs), a CT scanner and a new outpatient clinic. 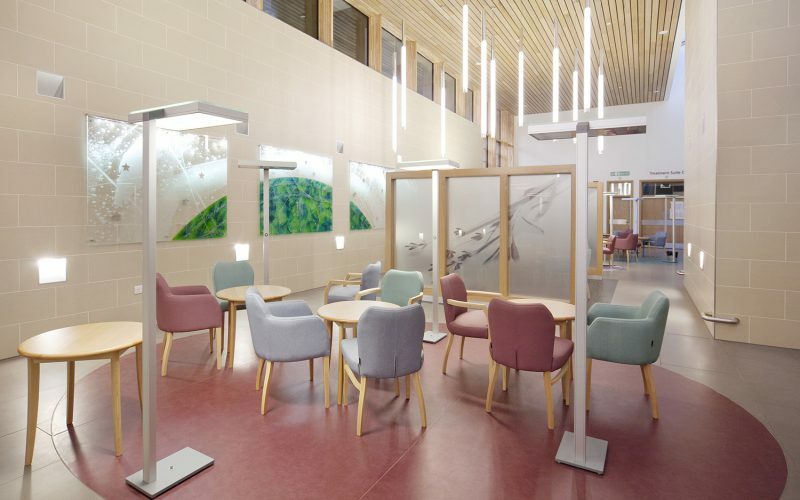 One of those improvements was the replacement of a maze of corridors – “necessary for radiological protection but intimidating to patients,” said Fiona Milnes – with ten-tonne radiation-protective sliding doors on each linac bunker, giving a direct and more patient-friendly route. Specification of finishes, fixtures and fittings was purposely designed to give a “less institutional feel” according to Fiona Milnes. 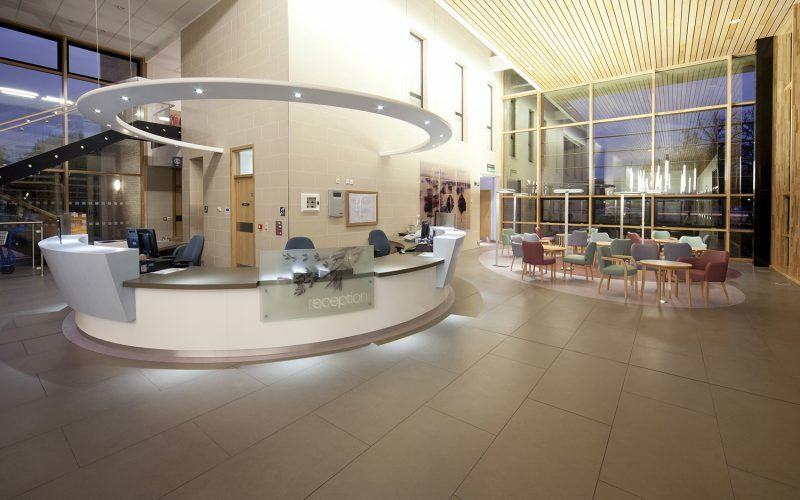 Sustainability was observed with a ground-source heat pump to heat the main waiting area, and rainwater harvesting for WC supply; air-conditioning was eliminated with a computer-controlled natural ventilation system, and waste from the site was recycled, saving the Trust £14,300. The unit achieved a BREEAM ‘Excellent’ rating.